The message sent by the ANC is that Nomvula Mokonyane, Malusi Gigaba and Bathabile Dlamini deserve an opportunity to demonstrate that they are great leaders who have been misunderstood, writes Ralph Mathekga. The ANC has sparked controversy by including controversial party members on the list of people to be deployed to Parliament after the May 8 election. Among the names that have triggered the controversy are the likes of Malusi Gigaba, Nomvula Mokonyane and Bathabile Dlamini. Since Cyril Ramaphosa took over as the president of the ANC, and subsequently the country, there has been public concerns as to why he included the trio in Cabinet if he is serious about tackling corruption. This is not an imposition of an unreasonable moral standard on President Ramaphosa; it is rather a logical concern that arises from his position that his leadership is essentially aimed at rooting out corruption and leading the ANC on a righteous path after "nine wasted years" under President Jacob Zuma's leadership. In one ANC advert in a weekend newspaper, Ramaphosa is standing tall promising that the party has instituted an inquiry into state capture to demonstrate a commitment against corruption in the country. Again, no one imposed the advert on the ANC and Ramaphosa, particularly the claim made that the ANC is fighting against corruption. Therefore, it makes sense for those outside the ANC the ask how the anti-corruption project promised by the ANC and Ramaphosa stands to benefit from the inclusion of those controversial party members on the list of people who will be going to Parliament after the elections. Mokonyane has been implicated in receiving bribes from Bosasa; an embattled facilities management company that has come out looking very bad at the Zondo commission of inquiry into state capture. Dlamini's tenure as social development minister has had the court exposing her moral lapse in handling the tender relating to the payment of social grants. She is implicated in having had a hand in the illegal decision to award the tender that was subsequently nullified by the court. Gigaba was implicated in the illegal awarding of citizenship to the controversial Gupta family, whose conduct justified the formation of the state capture commission of inquiry. Against this picture one should ask what the thinking is behind the idea that those individuals still have something to offer to this nation. By including them in the list of future parliamentarians, the ANC is sending the message that all that has been said about corruption in the state capture inquiry is a big misunderstanding that will be cleared up by the future stellar performance by those ANC stars. The message sent by the ANC is that Mokonyane, Gigaba and Dlamini deserve an opportunity to demonstrate that they are great leaders who have been grossly misunderstood by institutions such as the state capture inquiry and the courts. Indeed, none of the three have been found guilty of any offence in a court of law. This is the explanation that was forwarded by ANC secretary general Ace Magashule in explaining away what he seems to think is a storm in a teacup. 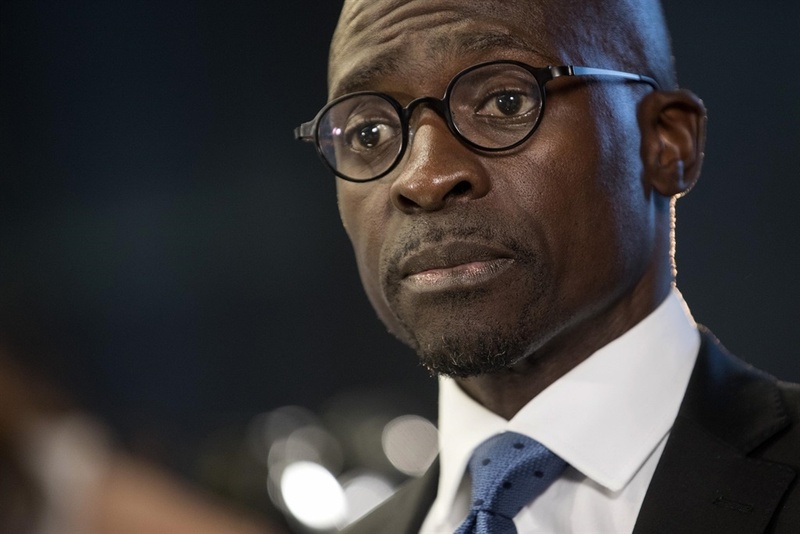 But Parliament stated on Monday that Gigaba should face a parliamentary inquiry regarding his role in granting the Guptas citizenship during his tenure as home affairs minister. Are we to understand that according to the ANC, Gigaba should not only face a parliamentary inquiry, but he should be the one before whom corrupt people appear during inquiries in Parliament after the elections since he will be a Member of Parliament? This is beyond bizarre. How will that make Parliament look? The escape route for the sound minded in the ANC is throw the book at the likes of Gigaba, Dlamini and Mokonyane by allowing various inquiries such as the Zondo commission to weed out those controversial members from further serving in state institutions. This route will take long because one will have to wait for recommendations by the Zondo commission once it completes its work. The other strategy is to allow those members to go to Parliament and then expose them to the wrath of the opposition parties, since Ramaphosa cannot be seen castigating his fellow comrades within the ANC simply because they are still relatively powerful within the party. That would be a Machiavellian strategy that demonstrates a lack of principle on the side of Mr Ramaphosa and his allies within the ANC. The opposition will feast on this, whilst the ANC's moral position on corruption will erode further. What a great time to be a coherent opposition party in South Africa. And what a pity that the majority of opposition parties are simply not. Whichever way the controversial members are prohibited from serving in state institutions, the reality is that if it was up to the broader ANC members – judging by the list that was decided upon by the party – those people will be allowed to serve South Africa further. This raises the question as to whether Ramaphosa is realistic in his view that the ANC can provide a platform through which to fight against corruption. You go figure, South Africa! - Ralph Mathekga is a senior researcher at UWC's Centre for Humanities Research, and author of When Zuma Goes and Ramaphosa's Turn.